The Arctic Light is a contemporary property located in the center of Lapland-Rovaniemi. Rooms are modern and bright and all offer guests free Wi-Fi, free parking, a flat screen television, minibar, private bath, and tea and coffee making facilities. Many rooms are individually themed for a unique experience. The hotel is a family owned establishment that takes pride in creating a welcoming atmosphere. 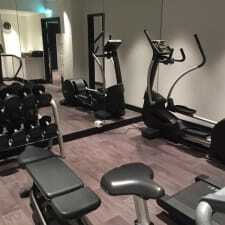 The property has a relaxing sauna, fitness center, and dry-cleaning services. A delicious breakfast is created by the hotel’s chef, and drinks can be enjoyed at the onsite bar. The Arctic is the onsite restaurant, which features fresh seasonal ingredients. The staff are also happy to recommend some of the most popular nearby restaurants. The Arctic Light Hotel is only a short walk from the Arktikum Science Centre, Lordi Square, Lappia House, and the Sampokeskus Shopping Centre. Breakfast is a treat to wake up to, with a lavish buffet style. You can try a different dish each day of your stay, many of which are traditional to the area. Nothing quite says value and style like attention to details, and this hotel delivers. From toiletries, to mints, to special touches in the room, each guest is treated like royalty. You are in for a truly beautiful and lovely stay at this hotel. The staff are wonderful and helpful, the location is breathtaking, and the area's attractions are second to none. Those staying on the ground floor next to the store should be aware that there will be noise from the roads, and that laundry from the rooms above will be piled outside of the store on a regular basis. The hotel's design is a bit odd in that some of the rooms are oddly shaped and don't really flow well for any length of stay. The stairwells, if used, often lead to less than safe areas in the hotel. Many guests who came to this hotel from outside of the country were glad that they had travel insurance as the booking for the room had been mishandled by the front desk, and they were either charged additionally, or didn't have their rooms ready.